As experienced family lawyers we deal with a broad range of cases including those relating to separation and divorce, children matters, finances on separation (including where there is a business/foreign or trust assets) and domestic violence. All matters relating to the breakdown of a family, particularly those involving children, are distressing. As specialist family lawyers we pride ourselves on the ability to deal with these sympathetically and efficiently. Although we realise it is not pleasant to instruct solicitors in matters of this nature, it is very important to seek advice at an early stage in order to avoid potential difficulties in the future. We are committed to the constructive resolution of family disputes, in particular we want to ensure all action taken, is in the best interests of children involved in the matter. 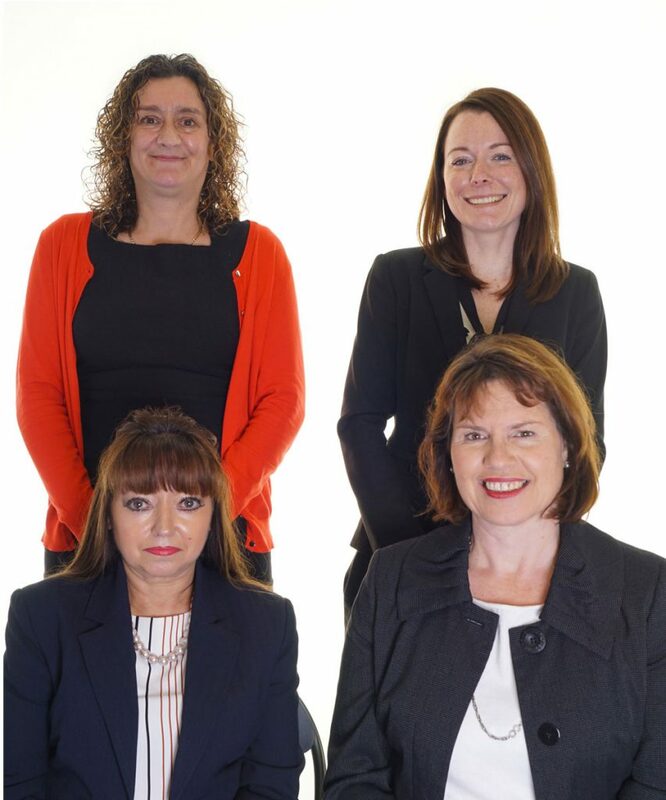 The Family Law team at Wrigley Claydon is made up of Rhona Royle, Corinne Bailey-Brown and Terri Pickup and boasts a wealth of experience and individual specialists in a range of areas. If you would like further information or to talk to one of our team of family lawyers at Wrigley Claydon please call us on 0161 624 6811. From the minute I spoke to Corinne her knowledge, empathy and professionalism made me at ease with the traumatic situation I was in regarding a house sale which was more difficult as my estranged wife was still living in the property. I would recommend Corrine to anyone going through a difficult divorce or separation. An amazing professional who was a pleasure to work with. I consulted Wrigley Claydon Solicitors for assistance in relation to a Children Act matter which was recently heard before Oldham Family Court. I cannot thank Mrs Bailey-Brown enough for all her guidance and advice throughout a difficult time. The choice of Barrister was excellent at the hearing who was most experienced, very down-to-earth and easy to talk to. I would be happy to recommend Wrigley Claydon in respect of any family matter. When we chose to use your firm to help with setting up legal parameters for child access, we chose wisely. At an extremely distressing and volatile time, the first lady solicitor we saw was reassuring and STRONG with a breadth of knowledge and experience in the area of the law I needed. I had taken a long time to make the decision to go to court for some security for my son and I. It was a difficult decision to make. Thankfully, throughout all of my dealing with Wrigley Claydon staff, there was sensitivity and belief in our case which was sorely needed to help me go forward. The staff at the firm are thoughtfully matched to the cases. I really appreciated that my legal representative, Corinne Bailey, was not only professional but sincerely empathetic, supportive, knowledgeable and always got back to me when I really needed reassurance! She saw our case through from beginning to end and I am grateful for that continuity. I would recommend Wrigley Claydon with gusto for anyone who, like me, needed their hand holding during a tough time, but with a firm back up. Thank you. When we chose to use your firm to help with setting up legal parameters for child access, we chose wisely. At an extremely distressing and volatile time, the first lady solicitor we saw was reassuring and STRONG with a breadth of knowledge and experience in the area of the law I needed. I had taken a long time to make the decision to go to court for some security for my son and I. It was a difficult decision to make. Thankfully, throughout all of my dealing with Wrigley Claydon staff, there was sensitivity and belief in our case which was sorely needed to help me go forward. The staff at the firm are thoughtfully matched to the cases. I really appreciated that my legal representative, Corinne Bailey, was not only professional but sincerely empathetic, supportive, knowledgeable and always got back to me when I really needed reassurance! She saw our case through from beginning to end and I am grateful for that continuity. I would recommend Wrigley Claydon with gusto for anyone who, like me, needed their hand holding during a tough time, but with a firm back up. Thank you.